BMC will assist in the preparation of specifications and working drawing details, for parts of the project related to construction maintenance and weather proofing. Our on-site experience with a wide range of products and techniques applied in often contrasting conditions is made available at the drawing board stage for architects and consulting engineers, to insure selection of compatible materials and practical economic detailing that will meet the job requirements. Working in various climates with a wide range of materials has given BMC the chance of monitoring the performance of these and other materials under some of the most adverse environmental conditions. This information is not only vital for the development of new materials but also ensures that application instructions are relevant and up to date, to provide the most stable and durable performance for modern high technology products. This constant feed back is held in high esteem by manufacturers and other users. Through a wide ranging experience, of the performance characteristics of many differing building materials, BMC can advise on realistic quantification based on actual conditions of use and performance of their products. Actual coverage rates can vary considerably depending on job conditions. BMC can advise on and prepare bills of quantities for the various types of protection works as detailed in this brochure. BMC will present detailed estimates and quotations, backed by the required shop drawings/details and other advice or information that will ensure a realistic and sound costing of various protection works. BMC will undertake to carry out the various specialist subcontracts to the highest standards required, under the supervision of highly qualified personnel, within the main programme of the project. The maintenance and repair of various types of buildings is a demanding job which requires a constantly updated approach to provide the benefits and cost effectiveness of different tech¬niques. BMC will prepare detailed reports and estimates for alternative systems that will best suit the problems of repair and maintenance of various properties, bearing in mind the present day requirements of economy and durability. BMC provides one of the most comprehensive technical advice services, on the range of services, on the range of services as shown in this catalogue, able to provide both product and system data coupled to our real on-site expe¬rience. Whilst it is obviously impossible to claim that BMC can answer all queries at the end of a telephone we certai¬nly try to provide the ‘ right ‘ answers in a short time period, and we are prepared to back these answers up with established data, tests and experience as required. BMC technical advice service is normally free there is no com¬mitment on your behalf. 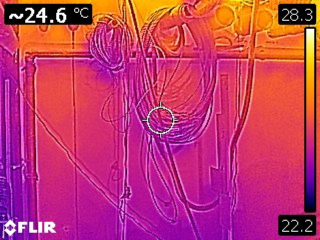 THERMAL IMAGING is a high performance infrared inspec­tion system specially developed for building applications including automatic humidity and insulation defects alarm.With its state of the art technology, Thermal Imaging map the moisture traces or energy loss from a building to later produce sharp detailed images. Its unique ergonomic design makes it convenient to work with during inspections. 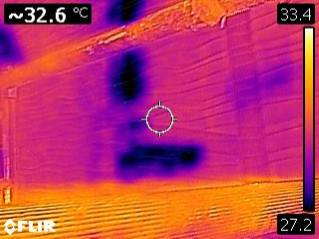 Infrared (IR) inspection is a powerful and non invasive means of monitoring and diagnosing the condition of buildings. An IR camera can identify problems early, allowing them to be documented and corrected before becoming more serious and more costly to repair.